Driving is not just a necessity but also a fun activity for many of us. Many of us like the sense of freedom or the powerful feeling of being in control driving gives us. But of course, with power comes responsibility and apart from keeping your vehicle well maintained, as a driver you need to always stay focused when you drive. This is an extremely important issue that’s worth discussing, as distracted or negligent driving is one of the major causes of accidental deaths and injuries. Here are some tips to help you stay concentrated and alert while you drive. Do you keep track of when you checked your tyre pressure and changed the oil for the last time? Do you listen to your car and make sure it isn’t making the wrong kind of noise? Is your engine always properly tuned? You should pay attention to all of these factors. When driving a well-maintained car, your attention won’t be diverted and you won’t be under any kind of stress. So if you feel that your car has been too noisy lately or that there’s some issue with your brakes, acceleration or steering then head over right now to a qualified mechanic. You’ll be thanking us later. While hydration might not be an obvious concern for drivers, the truth is that driving while dehydrated can be as dangerous as drunk driving. This is because dehydration affects the brain’s cognitive abilities and concentration. It also increases fatigue and irritability, hence making any driver more dangerous. Dehydrated drivers make twice as many road errors as hydrated ones, so always make sure you have a bottle of fresh water in your car. Even if you’re not planning a very long trip, you never know when you might get stuck in a traffic jam, so always be prepared. Proper hydration means that your focus will be at its best while you drive and so you will be able to react immediately to any unexpected situations. If you’re planning a long drive then the most important task is to get a good night’s sleep. This is not just significant from a health perspective but it also drastically reduces the risk of getting involved in an accident. Studies show that drivers with less than four hours of sleep are 11.5 times more likely to be involved in a car crash. If you start feeling drowsy in the middle of your drive, don’t wait to pull over at the nearest service station and get a nap. Or at least take a few minutes break and freshen up by washing your face, getting something to eat or having a caffeinated drink. Don’t take the risk of drowsy driving, no matter how much time pressure you feel. Remember it’s better late than never. Back in 2014, a 32 year old woman from North Carolina posted a selfie on her Facebook as she drove and captioned the image ‘The happy song makes me so HAPPY.’ Just a few seconds later, she died following a head on collision with a truck. This incident was a grim reminder of why we should pay attention on the road and stay away from all sorts of gadgets. If you really need to make a call while driving or reply to a text, first park your car in a safe location. Remember that no matter how important it is, it only takes a second for a simple mistake to turn into a deadly incident that can cost you everything you have. It’s not just cell phones, drinking or drowsiness that can cause road negligence. Even acts as simple as grooming have proven to be hazardous for drivers. Always brush your hair or put your makeup before getting in the driver’s seat or after you’ve arrived at your destination. No matter how experienced you are at driving, even with the smallest activity you may easily take your eyes off the road for longer than you think. And that can have disastrous consequences. Time flies when we’re having fun, right? Then why not make the drive more fun? 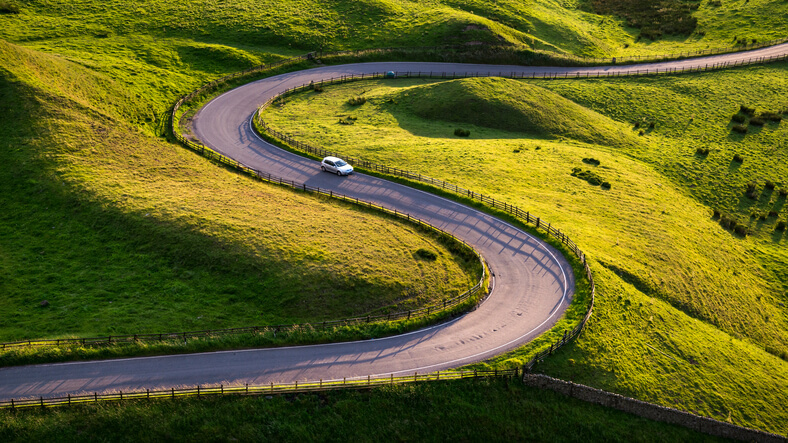 When you’re enjoying a drive, you’ll be more focused, less frustrated and more confident. All this makes up for a better driving experience! You could listen to music, sing along your favourite songs (but be careful with dancing), or simply have a casual conversation with the passengers. There are many helpful apps, for instance, if you’re a book lover, you could download the Audible app and listen to your chosen book. Some apps let your phone act as a dashcam, which ensures your safety while letting you record your journeys. Other considerable options include music and podcast apps that alleviate your driving experience. Safe and focused driving depends both on the driver and the vehicle. If you remember to check your car before planning trips and always confirm you have everything you need before you start driving, you’ll reduce the risks to a minimum. Giles Kirkland is a passionate car expert who loves exploring all the novelties in the automotive industry. Keen on sharing his expertise with other car enthusiasts, he also enjoys giving advice on driving, buying, and maintaining cars. You can find him at Oponeo and on Twitter.